As a creative intern, I had the opportunity to create a fictitious brand of beer complete with a brand name and identity, logo design, slogan, target market and packaging design and then formulate and present a complete advertising campaign strategy in order to introduce the new product into the market. 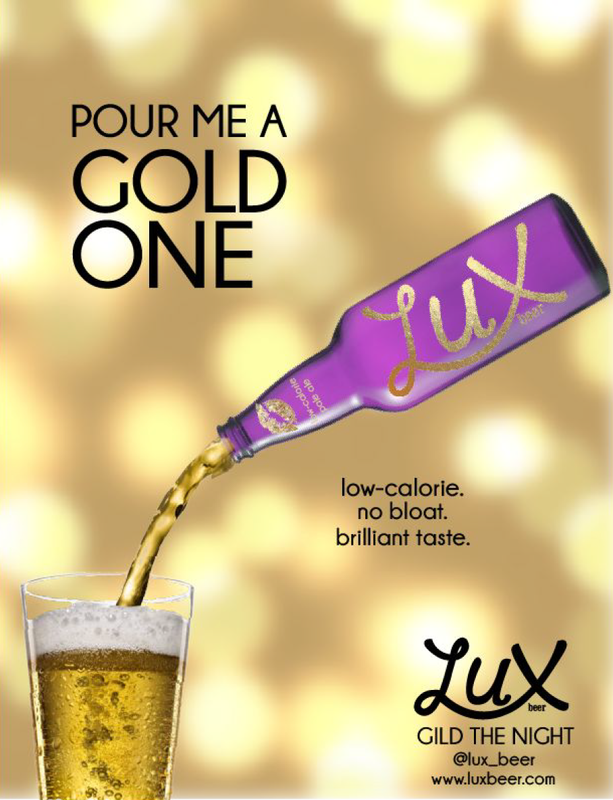 "Lux" means "light" in Latin, serving the low-calorie aspect of the beer. "Lux" also signifies the luxurious-quality of the product. BRAND COLORS: Purple and gold are the colors of Lux, exemplifying the femininity and regality of the brand. 'Gild' means to cover in gold—a core color of the brand. The beer market is overwhelmingly saturated with masculine advertising and branding, lending the opportunity to create a brand of beer specifically tailored to a female demographic. 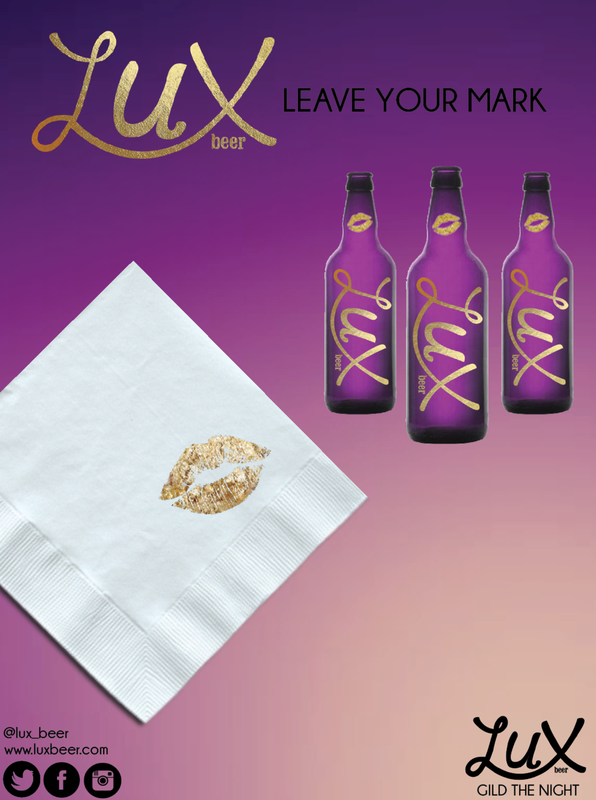 Lux seeks to fill in the gaps within the beer industry with its unique positioning and branding as well as with its advertising efforts that are purposefully and gracefully catered to women.